What’s the scoop: Continuing the thread from last week, Barry believes if they can wake Cicada’s niece, Gracie from her coma, that it will take away all the motivation for Cicada’s metahuman killing spree. Coincidentally, Wells has his own version of an Inception machine that can do just that. Navigating people’s memories is tricky because exit portals jump around, false memories make things tough to navigate, and the mind has killer defense mechanisms. 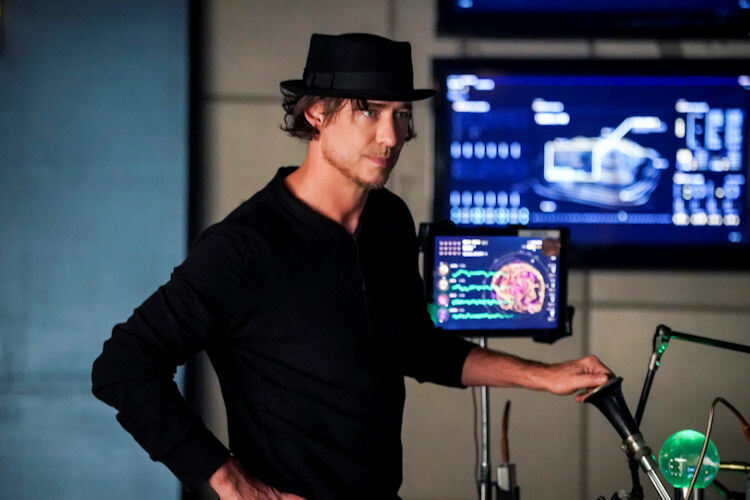 Wells warns that they should go in as a team but Nora, afraid her parents will find out her connection to one of the Flash’s arch-enemies, goes in alone. While Nora gets stuck in Gracie’s memories, Barry and Iris follow, and end up inside Nora’s memories. 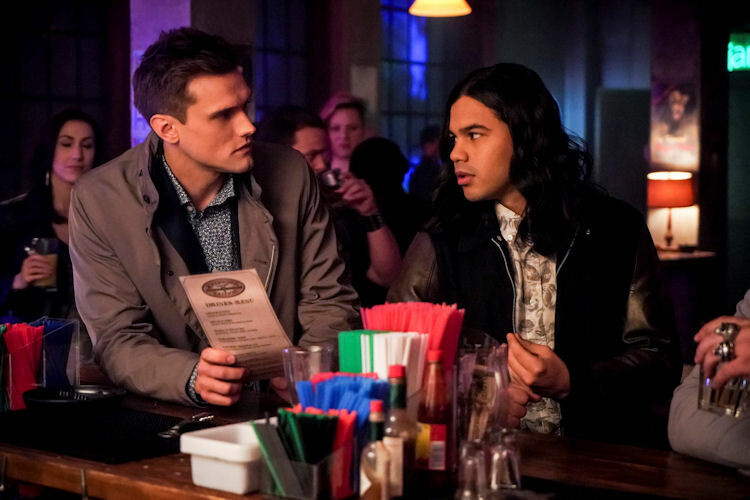 Meanwhile in B-plot Land: The race for the metahuman cure is continuing, and Ralph plots to give Cisco a change of scenery by taking him to a dive bar under the guise of following up a Cicada lead. It takes only a minor bit of investigating to uncover Ralph’s ruse. Cisco is angry at first, though he’s swayed by an earnest spiel about the power of friendship from Ralph. The night is a total loss, Cisco meets a cute bartender, and after some small talk with her, he has a eureka moment about the cure. What about the action: There was a lot of hide and go seek happening as Barry, Iris and Nora were trying to dodge defense mechanisms, and also trying to spot false memories concealing the portals out of the minds they are in. Nora discovers some very important facts, like how Gracie can hear what’s going on in her coma; she sees her uncle as a hero avenging her parents’ deaths. The nurse has been feeding Cicada’s rage, and a crucial piece in Nora’s time. An adult Gracie is the one who picks up Cicada’s dagger in her time, thus opening the possibility that they capture the Cicada in the present. Of course, she shares none of that with the group. The one thing she does tell is what the inside of Cicada’s house looks like. Wells is still very much on Nora’s scent, especially after learning that her defense mechanism was the Reverse Flash’s suit. What’s next: Are you ready for a white-hot ethical debate? Barry wants to use the cure on Cicada, despite the fact that Caitlin and Cisco have agreed that the cure would be a choice, not a weapon. 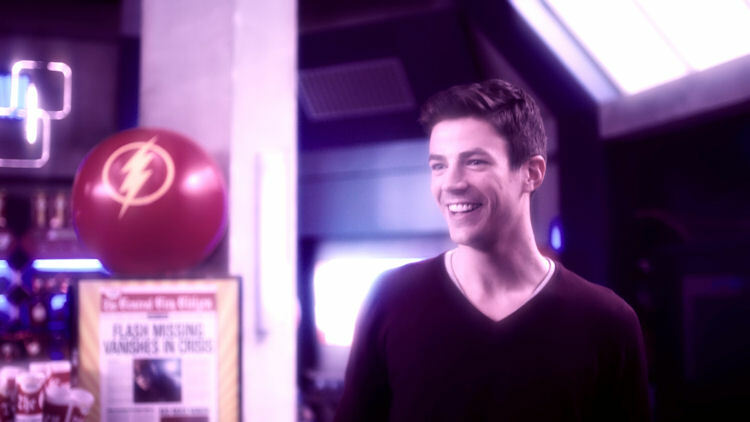 Last impressions: The Flash has never met a sci-fi trope it didn’t like, and it did do the old memory-travel concept some justice, even though the most surreal part of the mind journey was that Gracie’s memories were tinted green and Nora’s, purple. The writers tried to explain away why Barry and Iris are clueless as to Nora’s shadiness in one of her time-hopping reports to Thawne. There was a moment there when it seemed that Wells was going to make an accusation, but he quickly changed course after seeing Iris’ expression. I do think Iris is starting to suspect, and we’ll get the blow-up that’s been simmering for months. The jumping between locations kept things interesting, and prevented the plot from careening into another unnecessary-secret-keeping abyss, at least for this week.